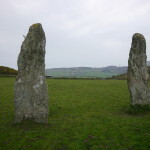 Standing stones can occur in isolation, and in groups as part of stone circles, avenues, or other alignments as at the Llanfechell Triangle. 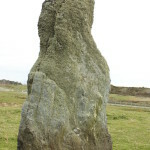 They may be parts of earlier monuments that are then embellished in subsequent archaeological phases (as may have occurred at Bryn Celli Ddu). 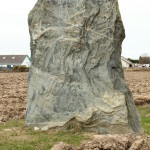 The Llanfechell standing stone is important as broken at the base of the standing stone was a rock panel decorated with cup-and-ring rock art. 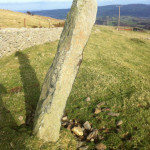 Please don’t climb on the stones – not only is it dangerous for you, it will also cause damage to the site. 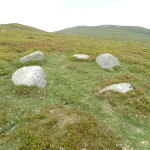 Standing stones can be difficult to find if surrounded by glacial erratics (naturally deposited large stones), so check your maps carefully and look for a description of the stone if one is available. Walk around the stone taking photographs at eye level. 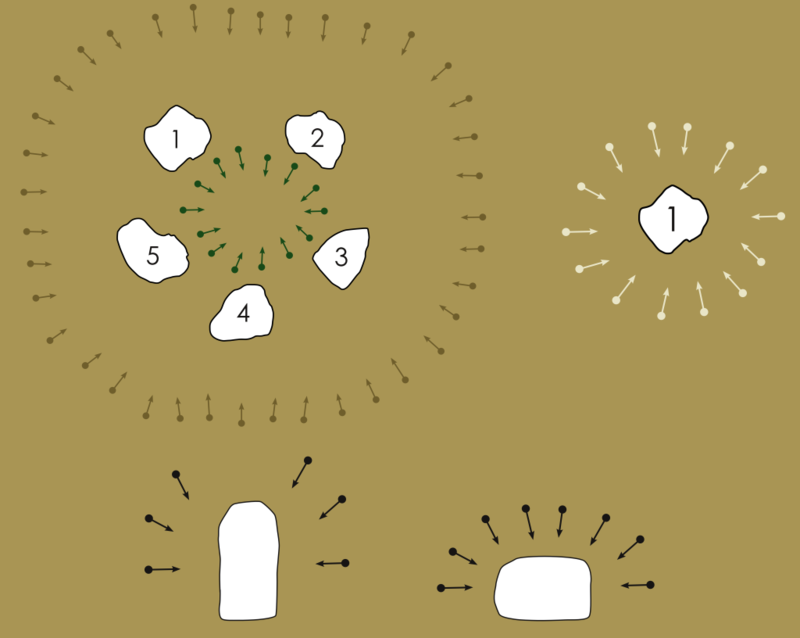 Similarly, take photographs of the lower and upper portions of the stone (depending on the height). Try to photograph the top of the stone; don’t worry if you can’t, as it may not be possible to do this with taller stones. 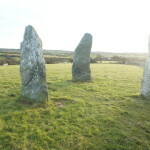 Photograph any hidden areas, for example ridges in the stone. Walk around the outside of the circle or alignment photographing the setting as a whole. 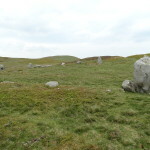 Next, walk around the inside of the setting, taking photographs of the stones opposite you.